Hey folks! 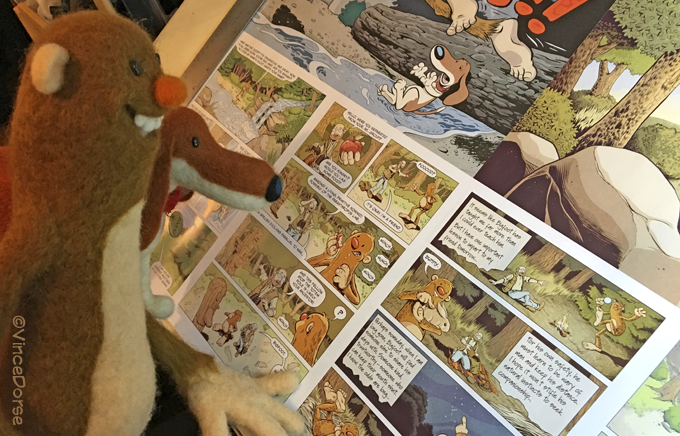 We finished up our successful Kickstarter just a couple months ago, so I thought I’d keep you updated on where we are on the book. To begin with, the proofs were shipped from China recently. 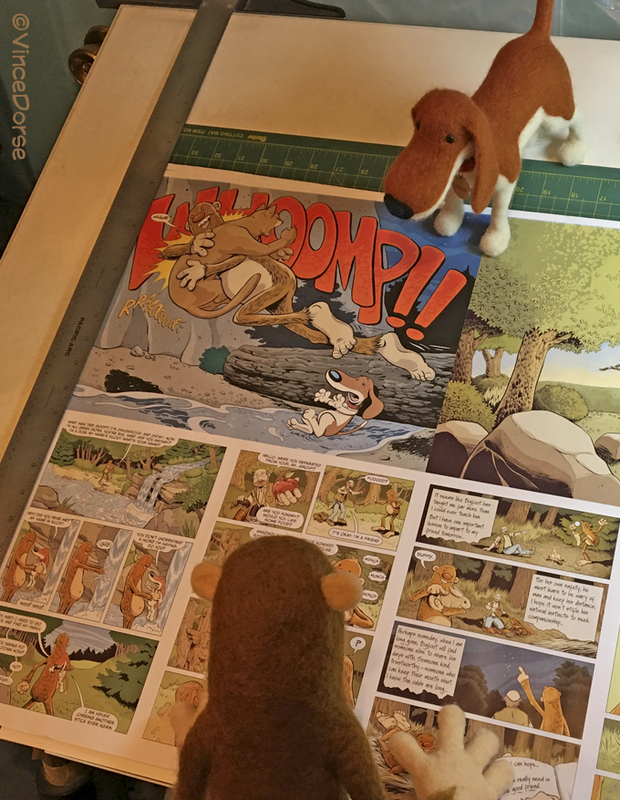 Bigfoot, Scout, and I took a close-up look at the pages and gave ‘em the thumbs up. Officially, they started printing the books last week. Woo-hoo! Once the books are printed and bound, they’ll be loaded onto a freighter in China where they’ll begin their journey to my studio. So now we play the waiting game. The waiting game, by the way, involves ordering and prepping all the other merchandise from various vendors. As you can see, the postman dropped off a box of buttons at the cave the other day. Sweet Baby Corn! These will be part of the 3-button set. 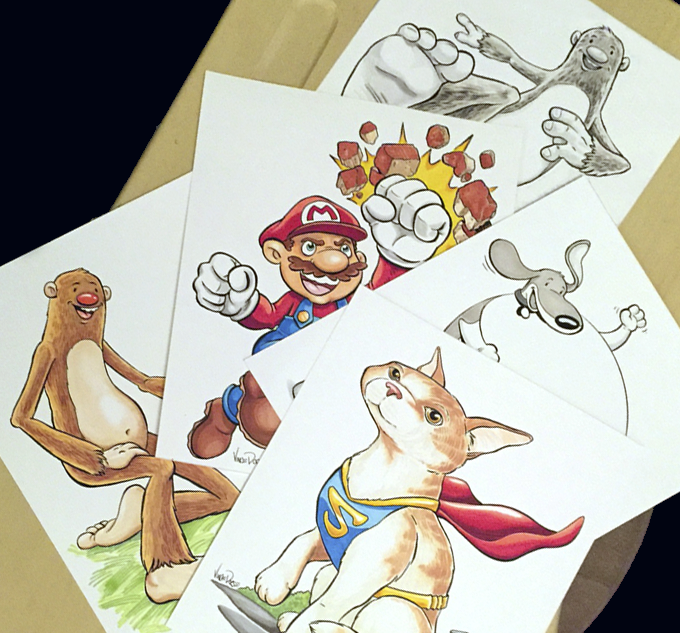 I’ve also received some of the stickers that go out with some rewards. 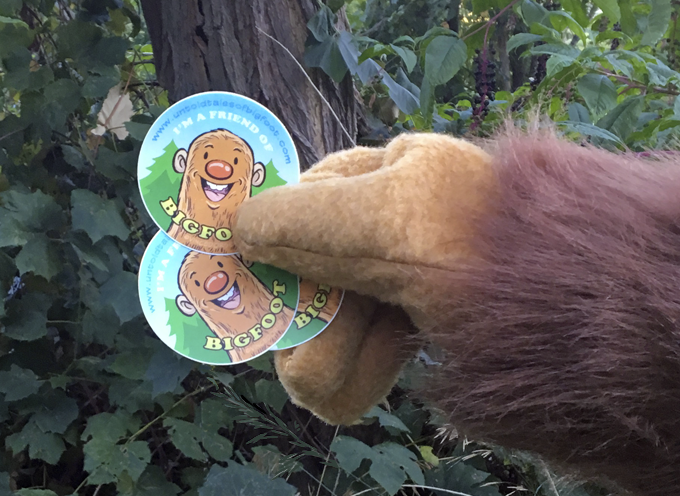 Here’s Bigfoot showing ‘em off. And, of course, I’m still rolling through the commissions that backers at the Cave Drawings & Polaroid Picture tiers requested. Happy to see a few requests for Bigfoot or Scout drawings. It’s always just a little more fun drawing your own characters. But, as you can see, I’m having a blast drawing all kinds of stuff for the backers. WAY fantastic! Loving the reports as we get closer to receiving our goodies. Thanks for documenting everything, Vince, it’s a big part of the fun!